We have added a new webpage to provide more details regarding our facility's conditions after a very destructive visit by Hurricane Michael. Please click here to learn more about the after effects. 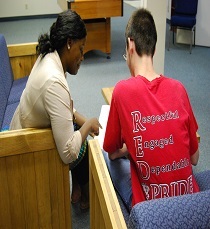 • 24 hour emergency shelter for abused, abandoned and runaway youth ages 10-17. • 21 day cooling off period to help resolve family issues. • Housing for homeless youth, male & female, ages 16-22. • Long term life skills training. • Education Advancement and Employment Opportunities promoting self-sufficiency. • Housing for homeless pregnant mothers ages 16-22 and their infants. • Long term parenting and life skills training. • Provides housing for up to 8 youth btween the ages of 6-12 who are currently in foster care. • The home allows sibling groups to stay together and be closer to their immediate family while they work on building healthy relationships. Anchorage Children’s Home is a non-profit organization, founded on Christian principles and beliefs, which serves, protects and strengthens children, families and community. 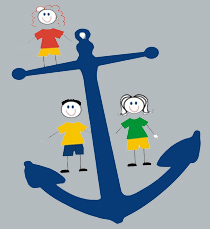 Our mission is to be an Anchor for today's children, strengthening tomorrow's families. When school aged children, youth and their families need help with restoring and strengthening their relationships at home, AFC provides individual, family and group counseling and case management. Services are provided in the home, at school, or in our office for up to 12 weeks. Anchorage Children’s Home currently operates a Street Outreach & Recovery Program serving an average of 200 homeless youth in our community. The program is a mobile unit of street outreach workers who engage homeless youth, providing basic essentials such as food, water and hygiene products, while building a trusting relationship helping them to make a smooth transition into self-sufficient living free from the dangers of homelessness and street life. When children, birth - 17 years old, who have been found to be abused, neglected, or abandoned, our Care Management program is there to help. Through Care Management, Anchorage provides child protective supervision, foster care case management, and intensive family intervention.